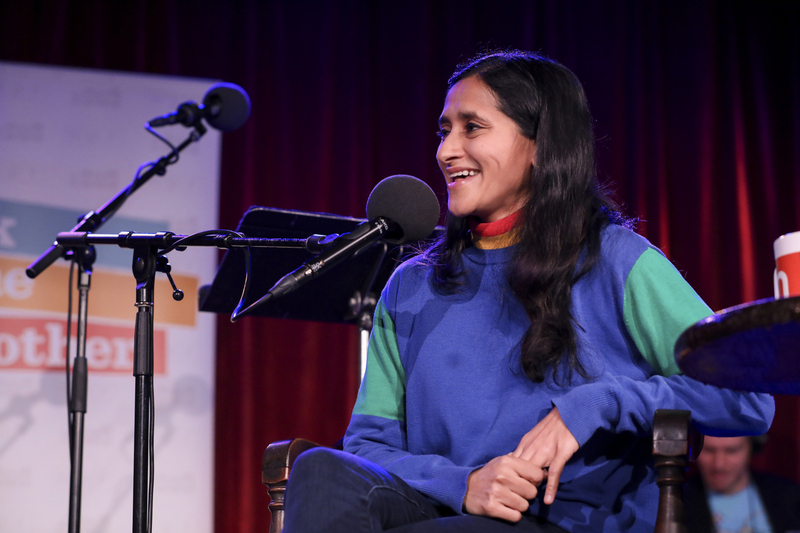 Aparna Nancherla: Introvert Goes 'Corporate' Comedian and actor Aparna Nancherla dishes about interning at NPR, transforming her struggles with mental health into comedy, and working at a soul-crushing office job. Host Ophira Eisenberg chats with comedian Aparna Nancherla on Ask Me Another at the Bell House in Brooklyn, New York. 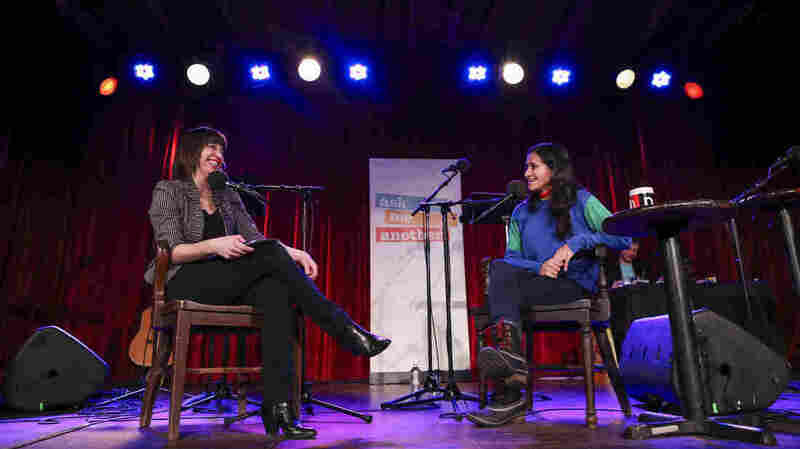 Little known fact: Long before she was starring in a Super Bowl ad, Aparna Nancherla was an NPR intern! 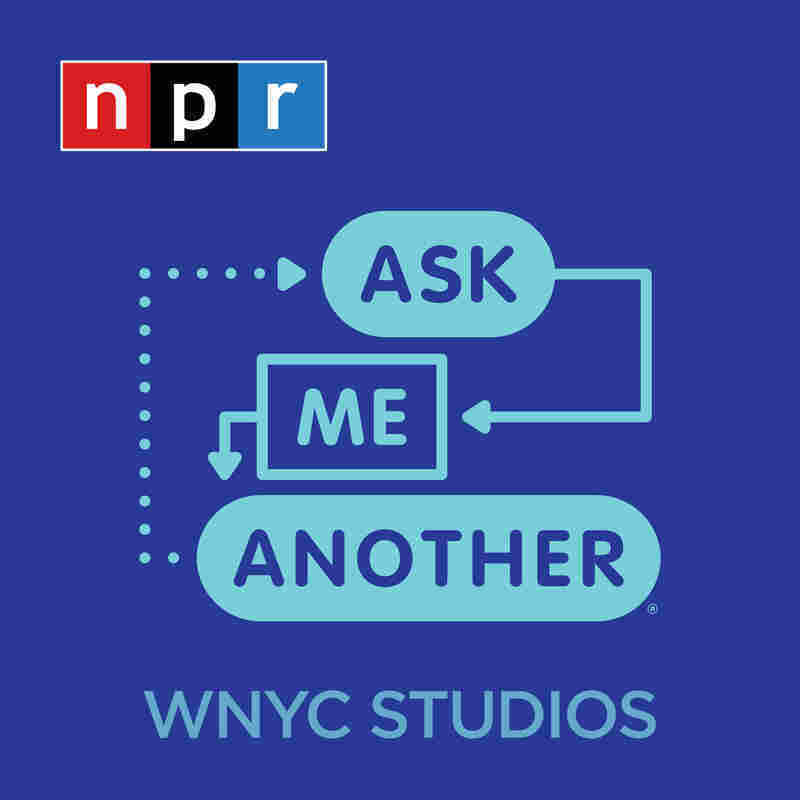 But the comedian and actor has a confession: "I did not know that much about NPR," she told Ophira Eisenberg, host of NPR's Ask Me Another at the Bell House in Brooklyn, New York. "I had friends in high school who listened to NPR, and I was like, 'Seems like something I should get in on.'" Nancherla spent time after college at NPR's Washington, D.C. office, working on the website — and struggling to recognize some well-known hosts. "People would be like, 'Oh, I was in the elevator with whoever,' and I was like, 'How did they know? 'Cuz it's radio,'" Nancherla joked. Stand-up comedy proved to be a better fit. Nancherla performed for the first time on her 20th birthday — at an open mic night at a Best Western hotel. "It was really like where a lot of truckers went to have a drink, because it was where a lot of interstates... intersected. Pretty much a dream first time," she joked. "I do think I got a lot of sympathy because people were like, 'Why is she doing this?'" Nancherla added. "I think it was just a lot of loud white men and this little ghost." Nancherla got her big break in 2013, when she did a stand-up set on Conan and became the first female South Asian comic to perform on late-night television — at least, according to her. "I will say that I and a friend planted this information in the news," Nancherla said. At the time, Nancherla was writing for Totally Biased with W. Kamau Bell with friend and fellow comic Hari Kondabolu. After the Conan spot, Nancherla and Kondabolu couldn't figure out if the comedian had made history. So they took matters into their own hands. "He said, 'I think you are [the first]. I'm gonna tip off Jezebel.' That's the most Brooklyn sentence ever said," Nancherla said. "We basically put it out there in the hopes of being corrected — and then we weren't." Despite her success, Nancherla was privately battling depression and anxiety. When her struggles with mental health started to impinge on her ability to write, Nancherla said she needed to share her dark thoughts to prevent them from occupying too much space in her head. "I was like, 'I'll just write about this. If these voices are not gonna shut up, then I'm just gonna put 'em in the act," Nacherla said. While this vulnerability has restored her ability to create, Nancherla is also reluctant to solely joke about mental illness; for her, it's a balancing act. "Now sometimes I almost worry it's the opposite extent, like '[Depression and anxiety] run the show. 'We're you're brand now!'" she laughed. "No you're not! Get outta here, depression!" Nancherla also plays Grace on the Comedy Central series Corporate, which depicts the lives of office workers at a multinational corporation. "I think I based it on every office job I've ever had. And being like, half checked-out," Nancherla explained about how she tapped into her character. Nancherla temped when she lived in Los Angeles, but her main job was at a trade magazine, T&D Magazine, where she wrote about how to make employees do their jobs better. "So it was like a meta-job, and it was the worst job to be not invested in," Nancherla said. "I was writing articles on how to motivate your employees with 17 other tabs open." For Nancherla's Ask Me Another challenge, Eisenberg quizzed the former psychology major and current dog-lover to a game called "Dognitive Psychology," in which the comedian had to answer questions about canine brain studies. "I think the simplest way to say it is, I grew up during the Gulf War and I fully was brainwashed by the military propaganda, in such a way that I was like, 'I have to serve my country.' It feels very vulnerable to say that in Brooklyn." "I have ideas: 'cuz it's a seltzer commercial, and the last late-night set I did had pro-seltzer material. So they were like, 'Who's not coming down hard on seltzer?'"